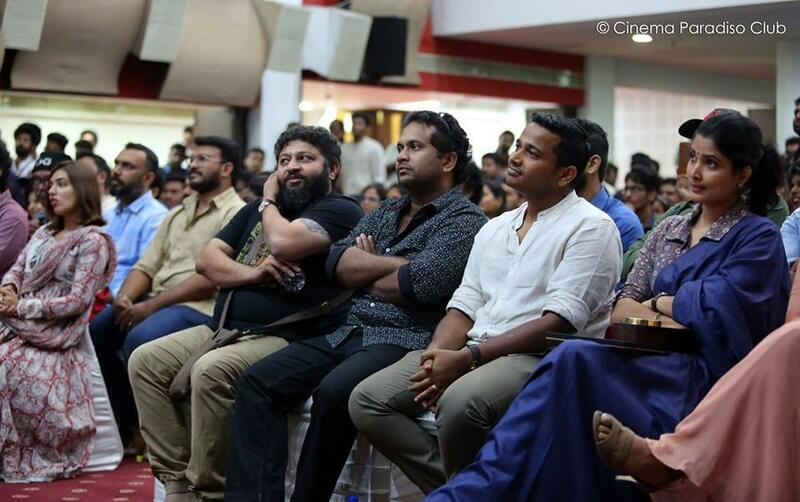 The second edition of popular Malayalam cinema awards, Cinema Paradiso Awards was held at IMA house, Cochin on Sunday. The star-studded event was attended by many top celebrities including Fahadh Faasil, Nazriya Fahadh, Rajisha Vijayan, Antony Varghese, Basil Joseph and Dileesh Pothan. Cinema Paradiso is a Facebook community of Malayalam moviegoers who discuss, analyse and critique Malayalam films from all over the world. As the community grew and got more active over the years, they have decided to recognize the deserving talents in the Malayalam film industry by organizing an award show to increase the conversation around cinema. "Our group has been existing for a few years now and over time, we have been getting popular with more and more discussions on cinema and related topics happening in the forum. Last year, we came up with the idea of an award to recognise talent in the Malayalam film industry. And what's most exciting is that the choice is completely left to the people," said Abhay Darwin, an adminstrator of the Facebook group. Explaining the democratic process of selection, Hiran said that the preliminary nominations were left to the public to decide, after which the final awardees were jointly selected by the public and members of a jury consisting of film industry persons. "We've built a website where we have listed all the nominees. There are about 85 nominees from categories such as best actors and best films. These will be filtered by public polls and the jury panel and finally, the awardees' list will be announced. Anybody can sign up on the site and vote for their favourites and the most popular choices will win the award," said Hiran Venugopalan, a member of Cinema Paradiso Club. On why they chose to go for a democratic selection process without relying on an expert panel, Arun Ashok, another administrator of the group, said, "What's great about this is that the list then becomes so varied. In fact, this time Fahadh Faasil was the first choice for best actor for the film Thondimudalum Driksaakshiyum. And close behind him was Suraj Venjaramoodu for the same film. And both these actors come very different schools. But of course, we do have a panel of renowned persons from the film industry who also contribute to the selection process." Arun says that the members of the community are aware that cinema is inextricably linked to the politics of the industry and do not attempt to dodge the many controversies that have hit the film industry in the recent past. "We are not apolitical in our conversations and this does reflect in the awards. However, we do not ban films that have created controversies. We believe it is a platform for everybody. In fact, this year, actor Parvathy, who was deep in controversy for calling out the sexism in superstar Mammootty's Kasaba, happens to be the winner in the best actress category. And she was selected by the public," he added. Versatile actor Fahadh Faasil bags the best actor award for portraying the titular role of a thief, Prasad in Dileesh Pothan's Thondimuthalum Driksakshiyum. The film also won multiple awards including best film, best character actor (Alencier Ley Lopez), best cinematography Rajeev Ravi), best screen play (Shyam Pushkaran) and best editing (Kiran Das). 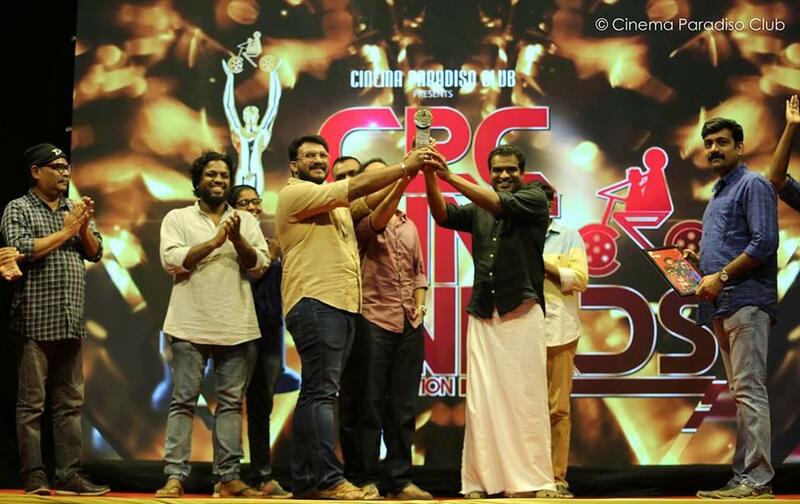 The best film award was jointly presented by Cinema Paradiso Club Head and senior journalist Maneesh Narayanan and film director Mithun Manuel Thomas. Parvathy won the best actress recognition for Take Off while Lijo Joseph Pellissery honored with best director award for 2017's trendsetter film Angamaly Diaries. 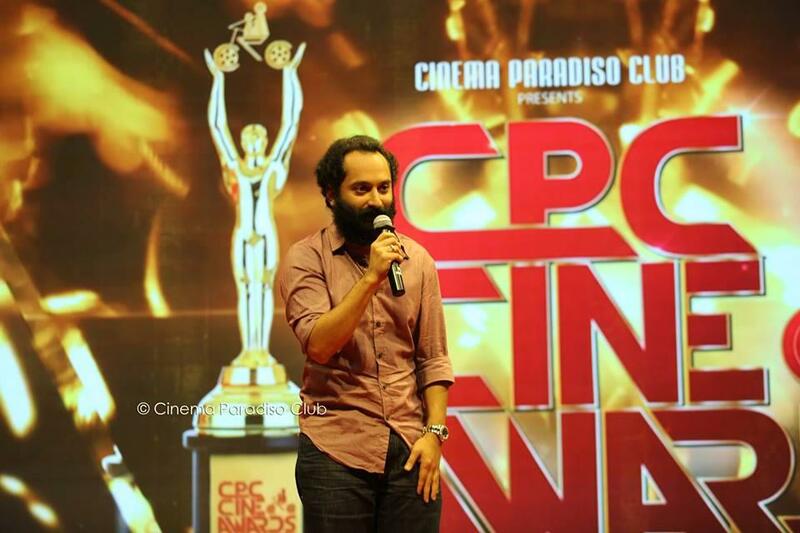 After winning the best actor trophy, Fahadh Faasil stated that he would proudly display the trophy to see at his home where he usually doesn't display any awards or shields. 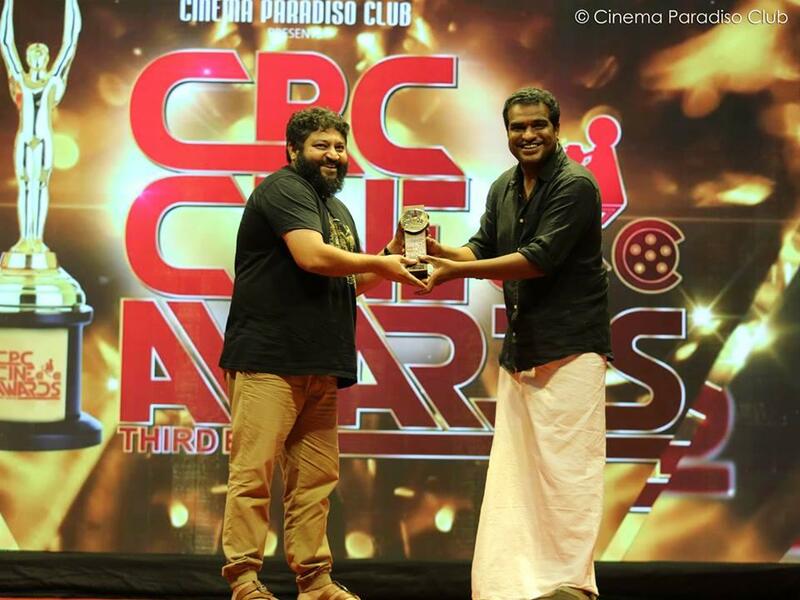 Lijo Jose Pellissery said that Cinema Paradiso awards are the most honest award ever given in India. 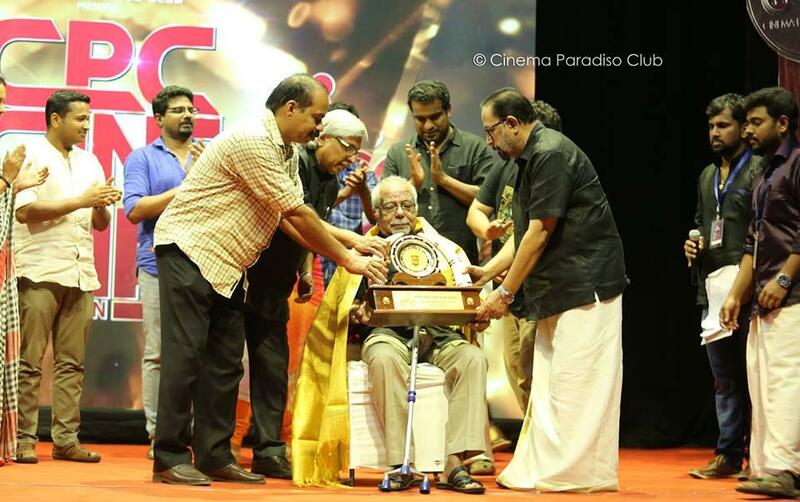 Veteran Malayalam directors Sathyan Anthikad, Kamal and Sibi Malayil have presented Cinema Paradiso Special Honorary Award to the Legendary filmmaker KG George for his contributions in Malayalam cinema. Lijin Jose's '8 ½ Intercuts – Life and Films of K G George', a documentary film based on the inspiring life of KG George was also screened during the award show. Cinema Paradiso is probably one of the very few awards that is entirely democratic in its selection process. The award winners were selected by open voting by the members of the group and also a judging panel including noted journalists of Kerala.